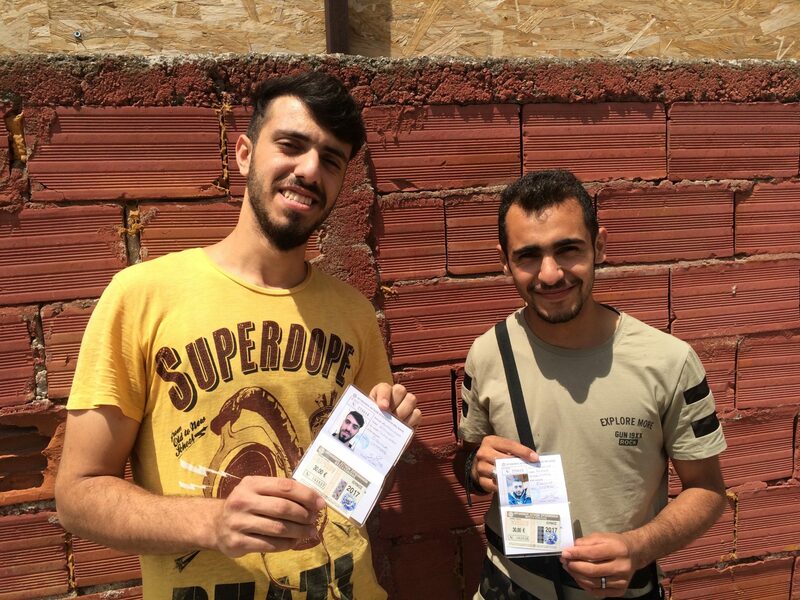 The Syrian friends Waseem and Hazim are the first two participants of the “Pame” project. In the meantime, as participants of the “Pame Project,” Hazim and Waseem are able to join other volunteers from across the world, and work in the Help Refugees warehouse. For Hazim and Waseem it is a chance to escape the monotony and daily routine of waiting. For Hazim and Waseem, it is more than volunteering. In exchange for their hard work, and thanks to your donations to Be A Robin, we are able to pay for some of their everyday expenses – like monthly bus passes, which we are buying today. 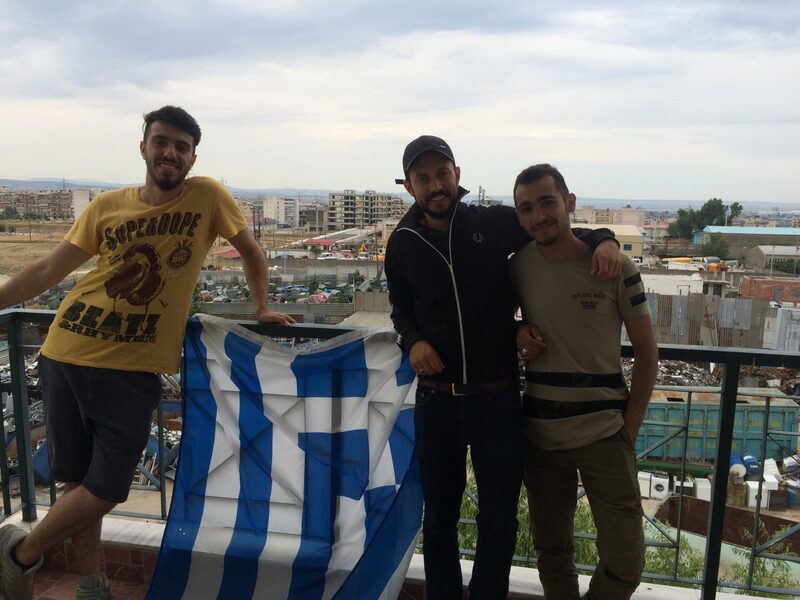 Each week, I drive with Hazim and Waseem to Alexandria, a refugee camp 40 minutes from Thessaloniki where they used to live, and from where they can collect basic food supplies. In Thessaloniki’s unpredictable yet routine bus strikes, I help Hazim and Waseem by driving them everywhere; thankfully the busses are back on the roads after two weeks of strikes, so Hazim and Waseem can once again move independently around the city and to the warehouse. The help I provide is always returned – currently Hazim is helping me as an interpreter while I find new participants for the project; English should not be a necessity, the project must be accessible for everyone without language restrictions.